Abstract: Airbnb has had over 200 Million guest arrivals over all time, and over 40 Million in 2015 alone. Naturally, this exponential growth is a challenge to deal with from the perspective of the sheer amount of user-generated text created. Every listing contains text written by a host (listing descriptions) and text written by guests (reviews). Customer service issues come in over chat and email, and guests and hosts exchange hundreds of thousands of messages every day. This talk will present an overview of some of the work we have done in this area and will also preview a lot of the work that still needs to be done. 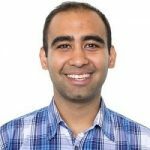 Bio: Avneesh is currently a Research Scientist in the AI Lab at Airbnb, where he works on problems of Airbnb's relevance in the machine learning and natural language processing domains. He has concentrated on leveraging the vast amounts of text data on the site to enable the next generation of data products within the company. Avneesh completed his PhD in natural language processing from Carnegie Mellon University in 2015 (where his thesis focused on building contextually richer models for translating human languages), and his undergraduate degree in electrical engineering from Stanford University in 2007. In a prior life (before grad school), he was a structured equity products trader at Goldman Sachs.